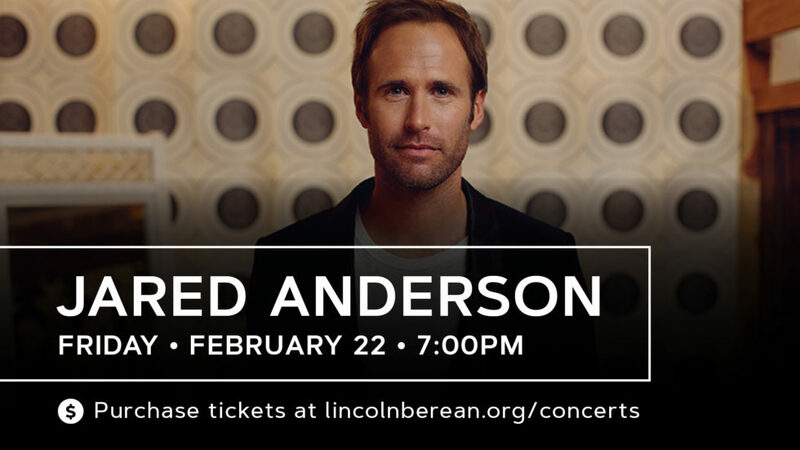 Jared Anderson is coming to Lincoln Berean Church for a Night of Worship. Jared is a worship leader, singer/songwriter, and is one of the most distinct and celebrated artists in modern worship. He has written songs that are sung in churches around the world such as “Great I Am,” “Glorified,” “Amazed,” and “Almighty”. Join us for this amazing opportunity to worship with Jared Anderson! Tickets are $5 plus fees.